Size: 6 Feet | Color: 1080P Cable Matters Gold-Plated DisplayPort to HDTV cable is an indispensablecompanion for your laptop or desktop equipped with DisplayPort. Enjoy movieson the big screen HDTV, extend your desktop to a second monitor (1080p) for anexpanded workstation, or show presentations on a projector at school or workwith this cable. The combination of gold-plated connectors, bare copperconductors, and foil & braid shielding provides superior cable performance andguarantees exceptional picture quality and authentic sound. Connection Notes - Can only convert signal from DisplayPort to HDTV. 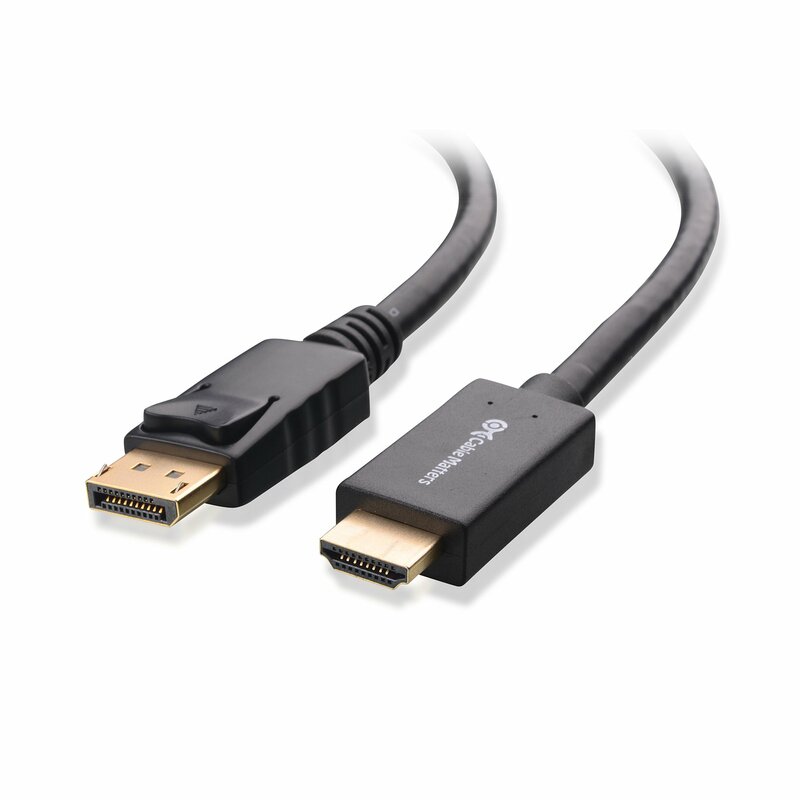 This is not a bi-directional adapter - Connect up to 2 monitors using AMD Eyefinity Multi-Display technology (one cable per monitor); An active cable is required to support more monitors - Depress the button on the DisplayPort connector to release the latches and avoid damage when unplugging Important Note This cable is NOT compatible with USB port on your computer Warranty Limited One-Year Warranty and Lifetime Product Support HDMI and High-Definition Multimedia Interface are either registered trademarksor trademarks of HDMI Licensing, LLC in the United States and/or othercountries.